I love Lonny Mag , it has completely filled the void in my magazine life that Domino and Blueprint left behind. My only complaint is the fact that it is in digital format, something I have yet to get used to in the magazine world. But if this is the only way it will ever come, I'll take it. 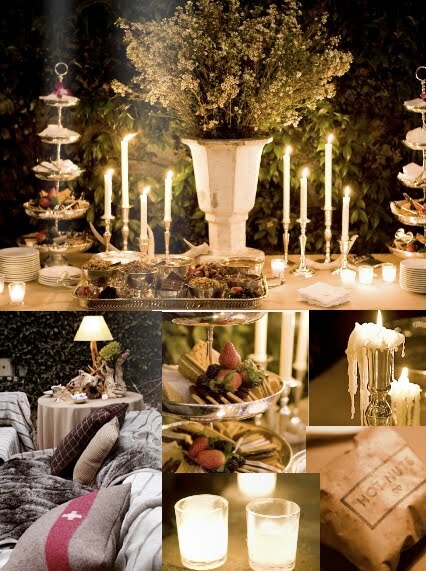 I especially love the bit in this season's issue about the winter backyard soiree. This is just the inspiration I am looking for the holiday party I am thinking about for 2010 (yes I am already thinking about next Christmas). If you haven't already discovered this little magazine gem, you must stop everything you are doing and check it out, it's totally worth it! Looks like a beautiful magazine. I still can't get used to digital mags. I love flipping through pages of my favourite mag on the couch - it's so relaxing and have yet to find the same effect doing this online.